V&A is the world’s leading museum of art and design. V&A was established to make works of art available to all and to inspire British designers and manufacturers. Today the collections which span over 5000 years of human creativity in virtually every medium and from many parts of the world continue to intrigue inspire and inform. 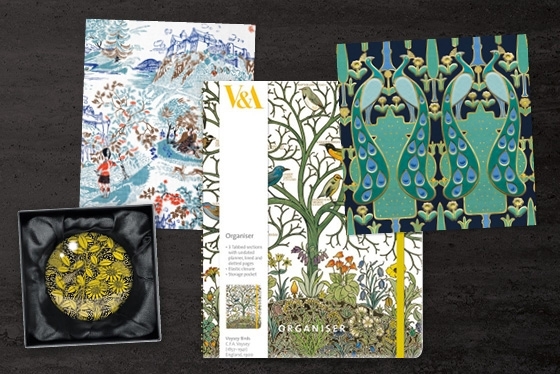 V&A greetings card and gift stationery collection from Museums & Galleries is a continually evolving showcase of the museum’s diverse and expanding archives, and offers the ultimate decorative art range. To see the full range of our branded products please click on the following link, V&A products.